Another important feature of the draft Drugs and Cosmetic rules, is that chemists would now be allowed to dispense homeopathic medicines along with allopathic drugs, without the need for applying for a seperate license. In such cases the homeopathic medicines, while dispensed by the same chemist, would be stored separately from allopathic drugs and would have to be sold in small quantities. The draft rules, which are currently with the law ministry for vetting also specify the standardisation which is now going to be introduced in terms of requirements of the good manufacturing practices. Manufacturers would have to obtain a manufacturing license which would remain valid for a period of 5 years. Having said that, no seperate license would be required for exhibiting the drugs at any fair. Calling the draft rules a welcome move R.K. Manchanda, co-chair of a sub-committee of the Drug Technical Advisory Board (DTAB) and the Director General of Central Council of Homeopathy (CCH) told Livemint, “The competent authorities have been defined in the new rules for dispensing homeopathic drugs, thereby preventing a host of complications caused by wrong dispensing. The homeopathic medicines will be available widespread in chemists shops as there will be no need to have an additional licence to keep homeopathic medicines as required as per the existing rules. Once the new rules come into effect, the homeopathic medicines will be readily available even in far-flung areas. 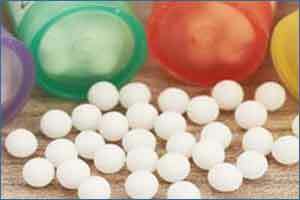 Thanks for sharing such an informative article about homeopathy. And sharing the efficacy of homeopathy. First, is homepathy a medicine or a placebo? And allopathic medicine is medicine or chemical poison..
Well Said ..If the professional knows more and more about his/her subject and practice only what is known to him is also good and knowing more about the other subject and combining for the benefit of his/her patient is also Good ..It is left to the Individual\’s expertise to Practice Medicine Holistically and Truthfully rather than fighting which Method/Mode is good !!! Patients Well being should be the Point of every practitioner !!! Stop calling yourself dr Shivram. Your a homeopath. Matter heals matter , healing is a process , biological ,physiological and pharmacological. If you say modren medicine (allopathy is misnomer) is poison what is your medicine where there is no medicine , infact there is no matter in your products. Infact there is no matter in your brains you r all fooling the society by tall claims . Have some shame stop talking of health issue for the sake of public. Read what dr ramakrihnan venkataraman told about homeopathy. Homeopathy is bunkam , what they are doing is eye wash and cheating the public. What is this potency they are talking about , dr venkataraman ramakrihnan , a noble laureate in chemistry has said these the so called drugs has no scientific basis and a fraud . No person with little knowledge of chemistry wil believe these products. It is placebo effect and total fraud and cheating . Govt has the responsebelty to propagate evidence and scientific based medicines and methods. India is full of quacks in medical field . limitation cant understand the functioning of Homoeopathy than it is their problem.The then science and scientist called Gallilio mad.It took them many years to realise the truth.In India the pioneer in IVF Dr.S.Mukherjee was ridiculed and he was driven to commit suicide.It was many years later the so called experts and scientist realised how true he was.He was well ahead of the time.Likewise Homoeopathy will also be proved to the so called scientist as research is on.Days of antobiotics are over and the side affects are killing peopleThey dont have cure for simple disease like dengue.Can they explain conclusively how anaesthesia exactly works.In Isreal doctors were on strike for 3 months and the patient mortality rate was down by 35%.Medical fratinity were analysing this fact and doing the introspection. Which scientist. If it is science it is easy. Because it is not science U pple talk nonsense and get away. If u can manage with ur the so called system , why you copy all aspects from modren medical texts starting from physiology to pathology. Your knowledge is transaltory and barrowed . Have some respect for science. You r all fooling public and government with your bunkam knowledge . Mr Reddy Homoeopathy was founded by Dr S.Hahnemann a qualified Allopathy doctor . So what , even it is founded by the gods it must be variafible. When it is not varifiable it is bunkam. When U can question every thing why not these the so called drugs. There is no basis of this homeopathy. All of u blindly following and blindly advising the public . There are any no of conditions which are self limiting . U advise on diabetes mellitus , hypertension which may not cause immediate problems. U claim to cure every disease including failing kidney it\’s a sham and shame . Have some ethics and public responsibility. Ur knowldge is transaltory and copying . Those don\’t know about homoeopathy please go through in detail. Take addmission to a homoeopathic medical college to understand the holistic science and art of homoeopathy. In case of Dr radhakrishnan , I want know u he also took homoeopathic treatment n promoted the same . Please his life history.